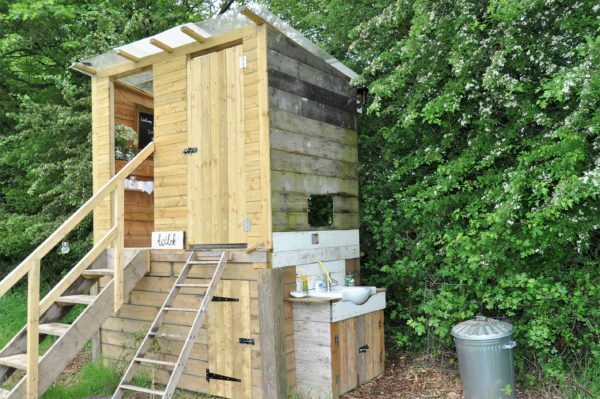 At the end of May with hot sun, surrounded by spring green and situated on the edge of the Ashdown Forest (made famous by Winnie the Pooh) PRN visited a countryside retreat created by Wyld Experiences. 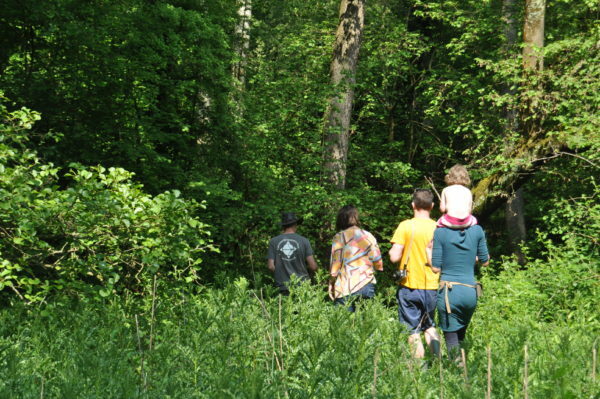 Deeply committed to reconnecting with nature the Wyld Experiences team Poppie, Dora and Sofie have set up a weekend getaway for mums-to-be a mere 45 minutes from London Bridge. Our own adventure began when we parked on the side of a country lane and were picked up by Poppie to be taken to the secluded location. 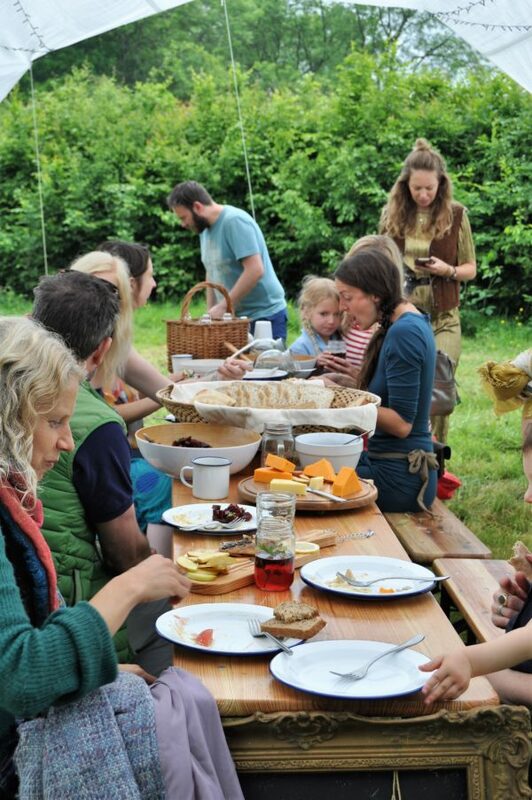 At lunchtime with the sun shining, a table under canvas had been laid with plates of cheeses, breads, pickled onions and houmous. On arrival we were offered insta-perfect mason jugs of elderflower water and Sofie, Hypnobirthing specialist came out to greet us. Already interested in the placenta remedies, she said she would be glad to have a network to pass on to her clients in future. 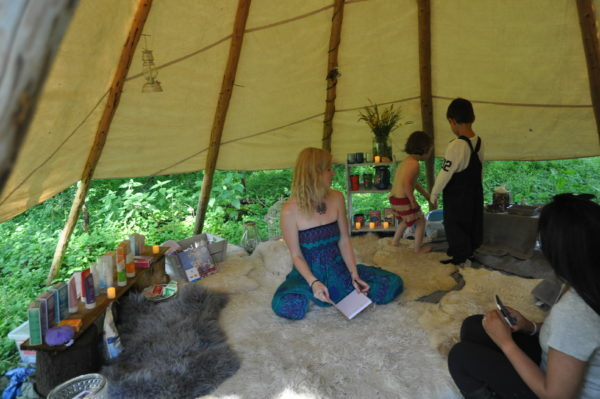 An itinerary of events had been planned to showcase what the retreat would offer and speaker Zoe Scanlan, Homeopath sat in the hay circle to share her knowledge with us of how homeopathy can help with pregnancy and birth. 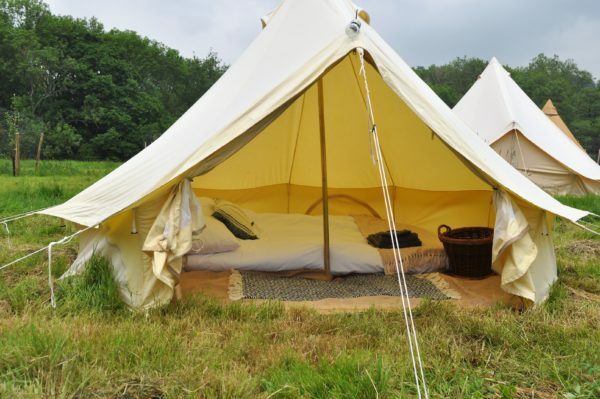 In front of us lay the installed bell tents furnished with comfy looking beds replete with blankets and towels. Surrounding the area was grass and a newly-planted heritage orchard consisting of unusual English apple trees. Behind the saplings dipping down towards the woodland lay a field of grasses and buttercups. 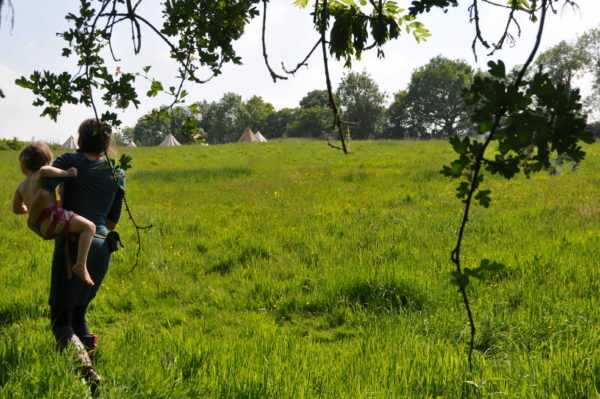 Our own adventure was just about to begin as we headed down the field, passing on our left a large tent set up for yoga sessions, a perfect way for retreaters to revive and refresh in nature. 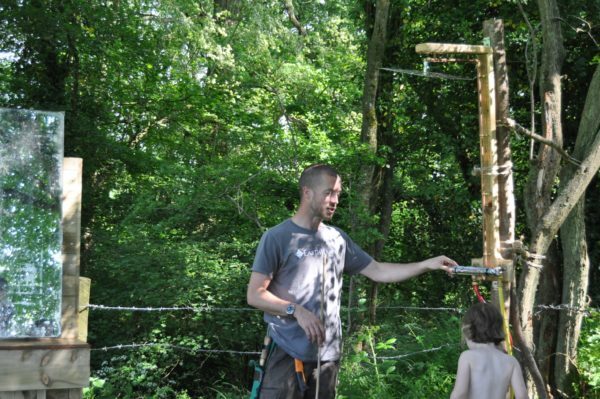 We entered the ancient woodland and just inside we found a circular space for a fire to enjoy after dark and a teepee close-by ready for Wyld treatments. Kate the Therapist was on hand to offer Indian Head Massages and Weleda almond facials. Behind it, at a discreet distance, lay the most perfect setting for a bath I could imagine. 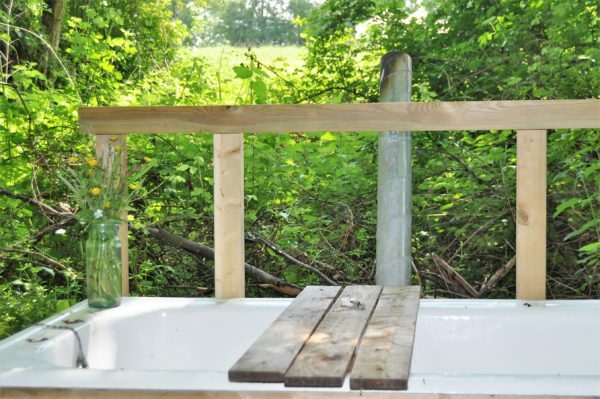 With a view of the field beyond was an open-air bath. Underneath were stacked logs for heating the water and on the side was a vase of wild flowers. The rest of the party seemed just as taken by the idea and a lady in aside said, “they should just stand by Cowden station and say to commuters, salt bath this way.” What would be better after feeling hot and sticky in London than to sink into a watery bliss? Equally, back on point, I think Mums-to-be might feel the same too. Back on the path we emerged from the woodland and curved around towards the stream. There we stopped and Dora invited us to close our eyes and become aware of the sounds and smells around us. We stretched out our arms and opened our eyes and were asked to look at our surroundings from the very edges of our vision. The setting was very peaceful and it felt appropriate to practice mindfulness where we stood. Our walk took us through muddy woodland (wellies a good idea at any time of year) before arriving at our final stop, the outdoor shower. Surrounded by a newly planted hazel screen, not yet ready to provide cover, one day they’ll make a very attractive shower curtain. Above us, unperturbed by all these comings and goings an hundred-year-old oak tree spread out its branches to cover us in dappled shade. Wyld Experiences have a series of retreats planned over the next few months. Click on Wyld Experiences retreats to find out details and dates. 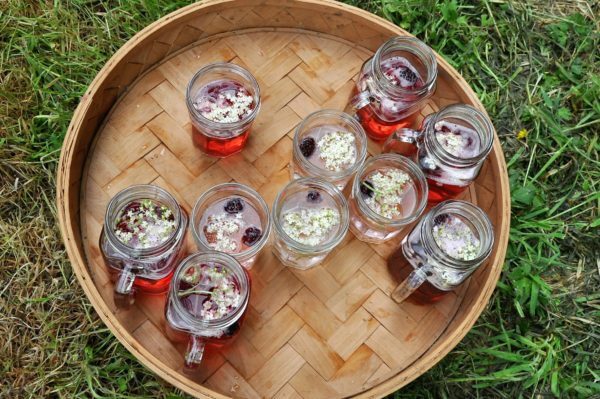 Placenta Remedies Network hope to appear at future retreats and we’ll keep you informed about when we do.